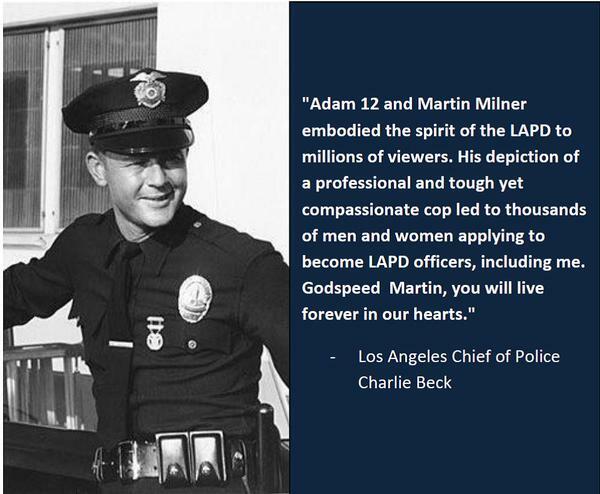 I don’t know of a cop from my generation that was not affected by Adam-12 and “Pete Malloy”. Not only was he mentor to his partner “Jim Reed” but to all cops just beginning in police work in the 70’s. Before Power Point, VHS, CD’s and the Internet there was Adam-12. It was the go to, how to, when 2 paragraphs in a text and a 20 year old war story was all the training you got in the academy. 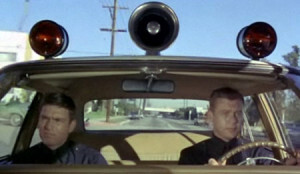 To this day, if Adam-12 is on, I’ll stop and watch.